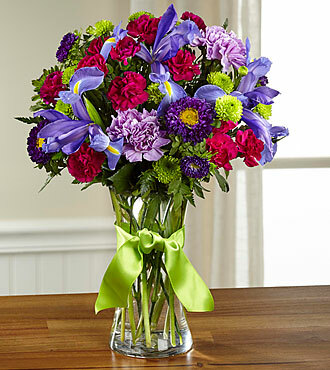 DELUXE bouquet includes 14 stems. PREMIUM bouquet includes 18 stems. "Wanted to let you know flowers were delivered as promised and they are beautiful. It made her day and mine. I will definitely use you guys in the future and I love you are on Ebates cause that's the first place I go to shop. Thanks again." -- T.H.